After two games of the final match, the reigning Champion of the World loses to the only semi-finalist who has never captured the chess crown yet. 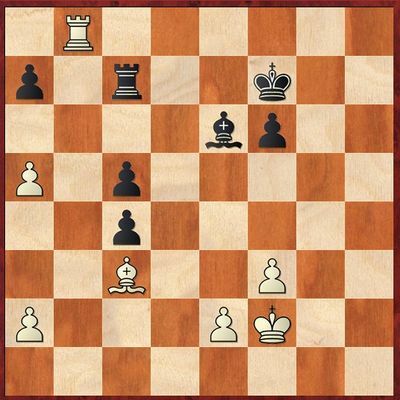 In the first game, Ju Wenjun and Lagno played out a rare hybrid of the King’s Indian and the Grünfeld Defense. Black, despite having continuations that were healthier from the positional point of view, entered the variation where her pawn structure became compromised and her dark-squared bishop ran the risk of remaining shut-in until the end of the game. The best move here is 17.Qb1!, with rough variations 17…Qxb1+ 18.Rxb1 b6 19.h4 or 17…Qa3 18.Qb3 Qxb3 (after 18…Qa5+ 19.Kf2, White has to defend her е6-pawn) 19.axb3, and then, again, h4. In both cases, Black’s position is difficult. However, after the text move 17.Bf2 g5!, the play sharpened. 18.Rb1 Qa3 19.Qb3 (more prudent is 19.0-0) 19…Qa5+ 20.Kf1 gxf4 21.gxf4 Rf8 22.Qf3. Computer points out that the White’s last erroneous move does not defend the f4-pawn at all: with 22…Bxf4! 23.Nxf4 Rxd4!, Black sacrifices her rook and launches a powerful attack, for example, 24.Bxd4(24.Rxb7 Qa6+; 24.Bg3 Qxe5) 24…Nxd4 25.Qe3 (25.Qf2 Qxe5 26.Re1 Qb5+ 27.Kg1 e5) 25…Qxa2 26.Rc1 (26.Re1 Qc4+ 27.Kg2 Nc2) 26…Rxf4+! 27.Qxf4 Qe2+ 28.Kg1 Nf3+, winning both white queen and the game. The lesser evil is 23.Kg2 Bd2, resigning herself to a loss of a pawn. 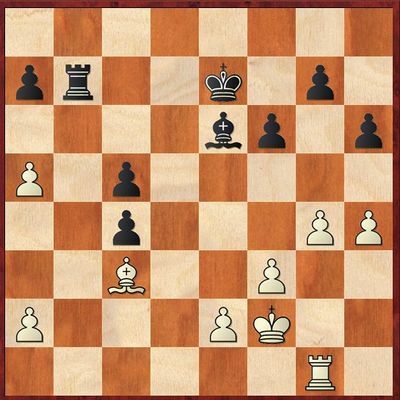 On the next move, Lagno had a chance to gain an advantage without resorting to such strong remedies. 22…Qxa2 23.Kg2. Again, this is not the best decision. 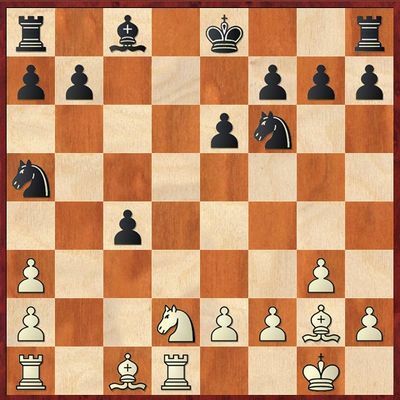 After 23.Rxb7 Qa6 24.Qh5+ Rf7 25.Rb3 Nxd4 26.Bxd4 Rxd4 27.Kg2, White is able to blunt the onslaught, though not without difficulties, but now, after 23…Rg8+ 24.Kh3 Qc2, her position becomes rather alarming. However, Black continued 23…Qd5, her pieces backed out in the ending, and soon it was already Champion of the World who had an edge. Immediate attack 32.Rcc8 is parried with 32…Rb2. While activating her knight through 32.Ng3, White keeps in mind an amusing opportunity 33.Rcc8 Rb2 34.Nh1!, and Black is in for difficult problems. However, Ju preferred to return to the 3rdrank with her rook instead and contented herself with a peaceful outcome. Another draw, just like in five previous games with regular time-control between those opponents in the period from 2011 to 2013. In their 7thgame, the balance has been broken. 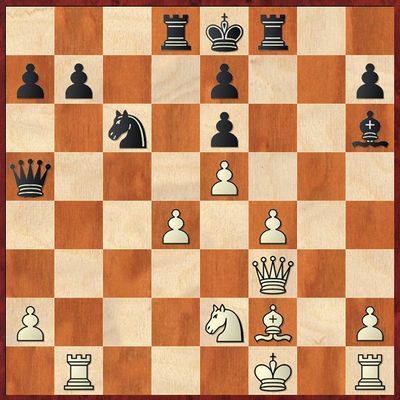 In the opening, the Russian, who was playing White, employed the continuation 9.Nfd2 that quickly comes into fashion now (previously, there almost solely occurred 9.Nbd2). Ju Wenjun herself introduced it into practice at a high level in her game with short time control against Guo Qi; more than that, the game was played according to the Bronstein (or Basque) System, where opponents simultaneously play each other on two boards. 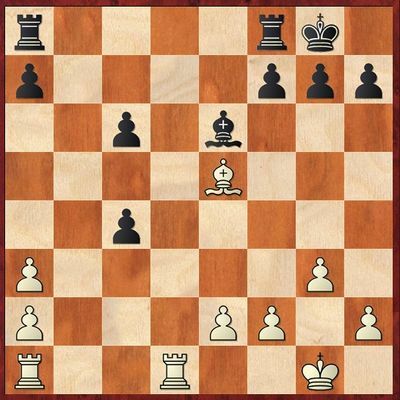 Later the move was adopted by such players as Carlsen, Karjakin, Ding Liren, Dominguez, Fedoseev… White gives up a pawn and agrees to double pawns on an outer file for the sake of activating his bishop pair quickly. 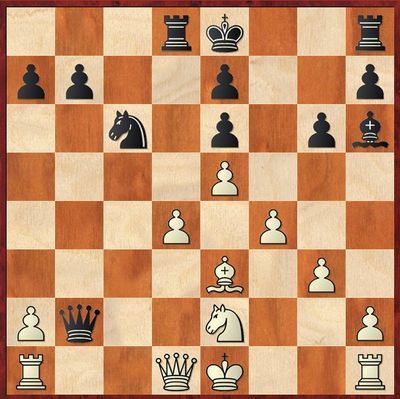 However, in the current game Lagno traded her light-squared bishop for the knight almost immediately and restored material equality. The resultant rooks-and- bishops-of-opposite-colors ending looked perfectly safe for Black; nevertheless, after making several obvious-looking moves, she found herself in a position where her active chances were practically non-existent, while White was able to display the initiative on both sides of the board. Worth attention is 17…Rfe8 18.Bc3 Bf5 19.Rd2 Rad8, and after 20.Rad1 Rxd2 21.Rxd2 f6, it is rather difficult for White to carry out f2-f3 in view of …Re3, and if 20.Rxd8 Rxd8, then Black temporarily controls both open files. 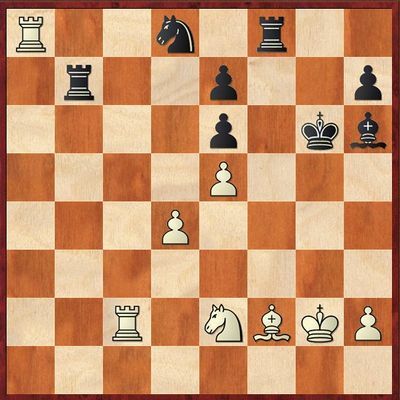 Even if White manages to avoid exchanging the second pair of rooks and put the question to a bishop through f2-f3 and е2-е4, the weakening of the d3-square would be in favor of her opponent. With 26…Kf7 27.g5 h5, Black was able to keep the h-file closed. In the game, after 26…Rd7 27.g5 hxg5 28.hxg5 Kf7 29.gxf6 gxf6 30.Rh1, white rook gained additional space, so it became more difficult for Black to follow its movements. Here Ju missed her chance to restrain this obnoxious spy with 33…Bc8. In the continuation she had chosen, White loosened her opponent’s defense with her last-rank maneuvers, got close to weaknesses in the Chinese player’s camp and eliminated the с5-pawn. Even after that, the engine points at serious resistance – after all, White has no passed pawns yet, and her edge pawns do not correspond with her bishop’s color. However, in the practical game, psychological problems added to Ju’s objective difficulties on the board; the World Champions made more unlucky moves, and her defense crumpled. Throughout the game, Lagno’s play was faultless.